In the District of Columbia, child support laws are enforced by the Child Support Services division of the Office of Attorney General. As in the 50 states, the District sets general guidelines for child support payments from a noncustodial to a custodial parent. Child support orders are a common feature of final divorce decrees, which may take into account support payments already made by the noncustodial parent while the divorce was pending. 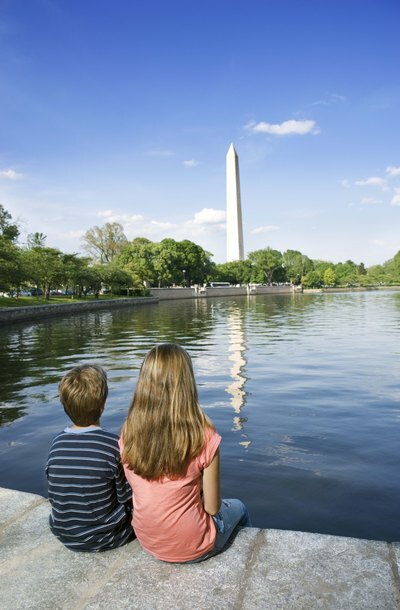 The District of Columbia has established guidelines for the amount of child support to be ordered from a noncustodial parent. These guidelines consider several factors: the income of each parent, whether one spouse is requesting alimony, the costs of health insurance and medical expenses, the receipt of any Social Security or veteran's benefits, and the receipt of any workers' compensation by either parent. Other factors include income from trusts or estates and gambling or lottery winnings, the presence of other children in either household whom either parent is legally obligated to support, and the payment of child support by one of the parents in another divorce case. The District of Columbia furnishes an online calculator that returns an estimated amount of child support when a user inputs the relevant data. The court, however, is free to determine child support based on the circumstances of each case and is not strictly bound by the guidelines. Before using the calculator, gather any documentation of income, expenses, insurance costs, public benefits such as Social Security disability, previous divorce decrees, and IRS forms such as W-2s and tax returns. In any divorce action that involves minor children, the court will set a hearing on child support. The judge will review the calculation of child support according to the petition for divorce. The parents may testify to their financial and living circumstances and request a revision of the child support order according to any changes in their situation, or any error in the calculation. The court will issue a child support order in the final decree. The noncustodial parent will then make child support payments through District of Columbia Child Support Services, the agency responsible for processing the payments to the custodial parent. Child support payments in the District of Columbia can be made by check, money order or online through an electronic debit from a bank account. The DCCS processes the payment and makes a direct transfer to the custodial parent's bank account, or to a debit card. If necessary, DCCS may also enforce the child support order through a variety of actions. These include a withholding order (garnishment) from the noncustodial parent's regular pay, diversion of federal and DC income tax refunds, suspension of a driver's license or passport, and criminal proceedings against the nonpaying parent. Parental custody rights and procedures vary from state to state. In California, family courts focus on the health, safety and welfare of the child, basing decisions on what is in the best interests of the child, not the gender of the parent. During divorce proceedings, either parent can file for legal or physical custody of their minor children. In seeking custody, the parent must file child custody forms requesting a court order that awards sole or joint custody. What Materials Are Needed for Passport Name Change After Divorce? Your U.S. passport must be in your current, legal name. If you changed your legal name after your divorce, you need to change your name on your passport to travel outside of the country. The application procedure and supporting materials required for a passport name change differ, depending on whether your passport was issued less than one year ago.